Our next series with Lexington Chamber Orchestra is TBA, but check out our last one and check back soon for more info! 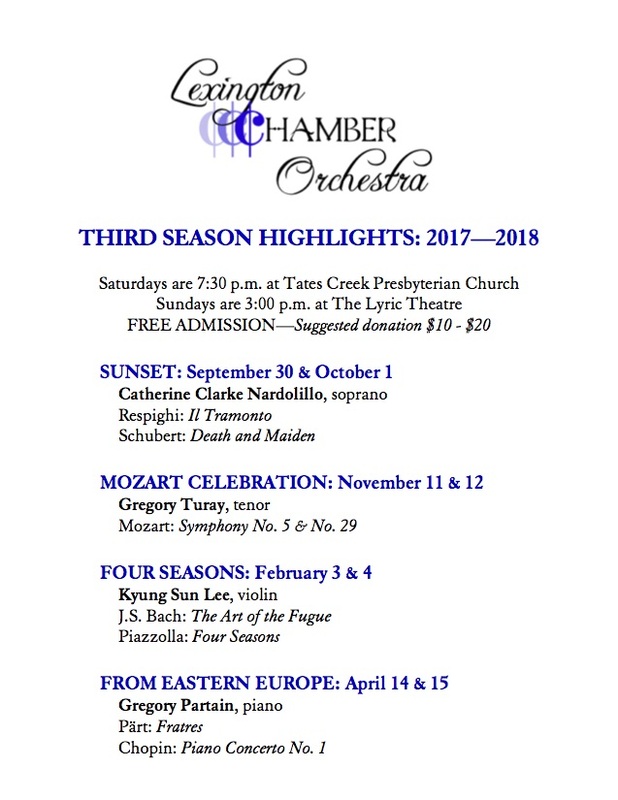 LCO's 2017 - 2018 season! *Concerts at The Lyric shall be matinees on the Sundays following the Tates Creek Presbyterian Church's Saturday evening performance. 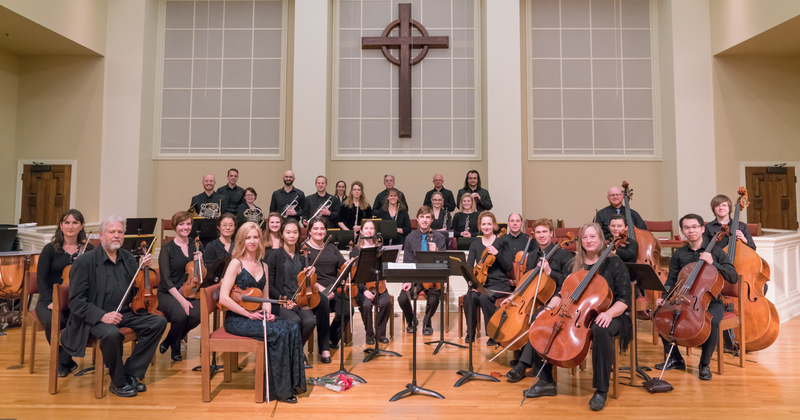 The mission of the Lexington Chamber Orchestra is to call people into higher awareness and deeper community through the beauty of chamber music. Much of life is focused on survival and immediate needs. Art reminds us that life is not only about survival, calling us to contemplate transcendent beauty and to connect more deeply with others. Without art, people can find themselves "chasing after the wind.” Everyday life is often about meeting the needs of the body, while art addresses the needs of the soul. Chamber music is an art form that communicates emotion and meaning in a powerful and unique way. The chamber orchestra provides both power and intimacy: it tells stories on a grander scale than a string quartet, while bringing the audience closer than is possible with a symphony. Our goal is to produce chamber orchestra and small ensemble concerts that touch people and draw them together.